This sneaky “milk” gravy is perfectly creamy, flavorful and fulfilling. 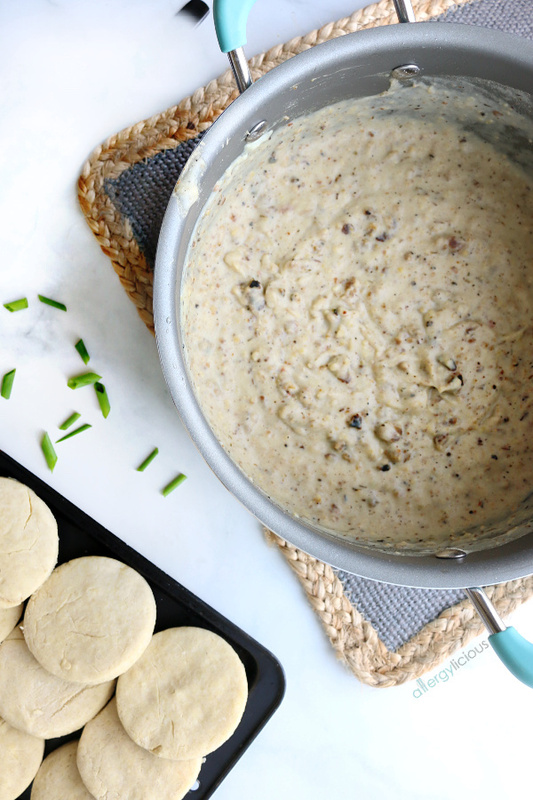 Add to homemade biscuits for comfort food at its finest! 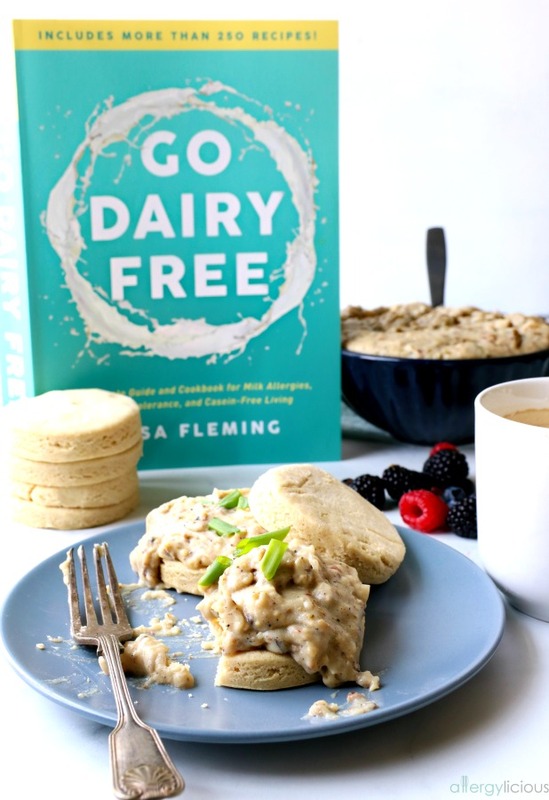 I am so excited to share Alisa Fleming’s Best Darn Biscuits and Gravy recipe from her new cookbook, Go Dairy Free. 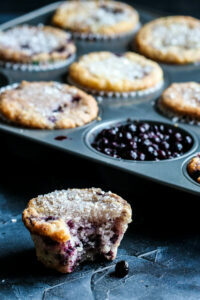 Read my review first and check out the recipe and giveaway below. Disclosure: I received a free copy of Go Dairy Free to review, all opinions are mine. This post contains affiliate links. There are plenty of reasons to go dairy free. For our family, it started with my son’s diagnosis of a life-threatening food allergy to dairy. He was just 2 months old when it became clear that his body could not tolerate dairy of any kind, from drinking it to touching it. The results would be life-threatening anaphylaxis, which means that his throat closes and he is unable to breathe (an experience I wish no one would ever have to experience)! Maybe you also are confronting allergies or living with a lactose intolerance. Maybe you are dealing with acne, digestive issues, sinus troubles, or eczema—all proven to be associated with dairy consumption. Maybe you’re looking for longer-term disease prevention, weight loss, or for help transitioning to a plant-based diet. Depending on why you might be eating dairy-free, Go Dairy Free by Alisa Fleming is an amazing guide/cookbook to get you started with eating a healthy dairy-free diet. Go Dairy Free is the essential arsenal of information you need to change your diet. Think of this as your Dairy-free Bible. This complete guide and cookbook will be help you understand dairy, how it affects you, and how you can eliminate it from your life and improve your health—without feeling like you’re sacrificing a thing. 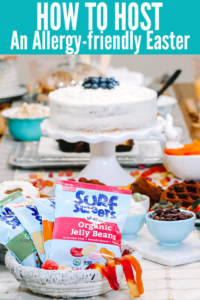 In addition to being the know-it-all in the world of living dairy-free (said with the utmost affection  because Alisa is Queen in this field), she was also spot on when she named this recipe. I do have to admit that I was a little uncertain since cauliflower was the main source of creaminess, but heck, if butternut squash can make the most amazing mac-n-cheese, then I was willing to give it a try. So glad I did, and ya’ll will be glad as well. 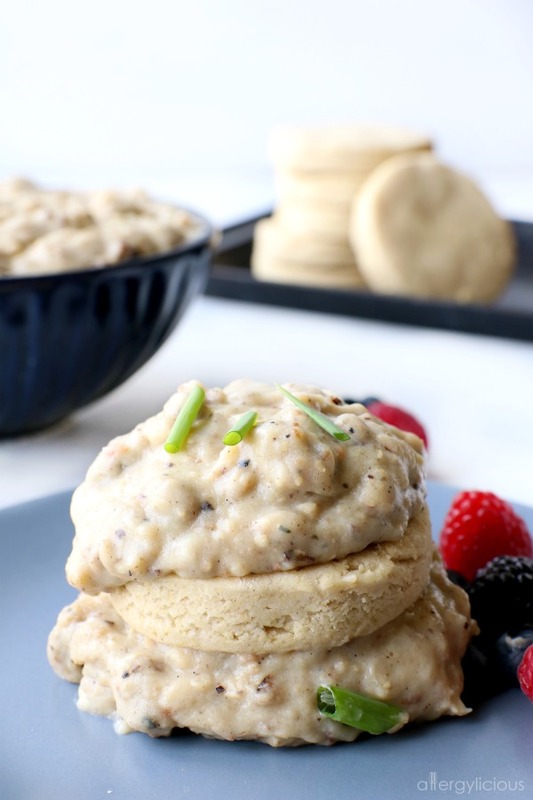 This Biscuits and Gravy recipe is incredibly easy to make, but for those who like to use photos as their guide, these images above and below will help. whala! Pour that stuff all over those biscuits. 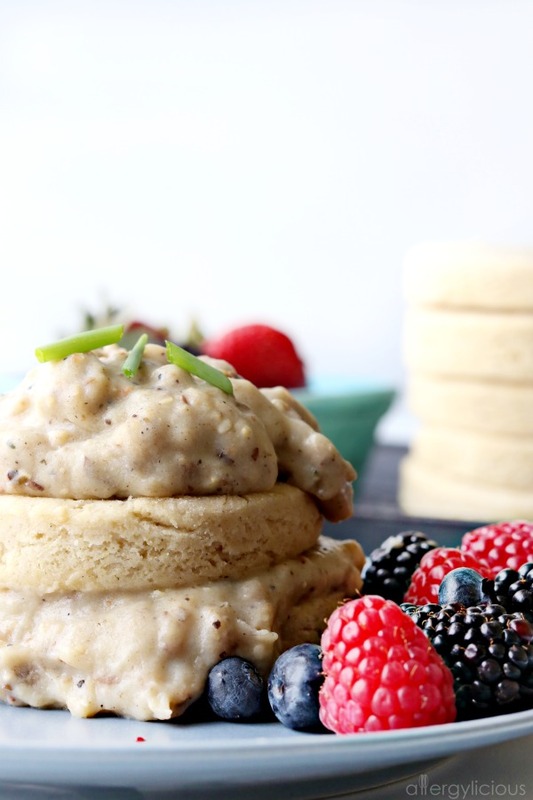 My perfect weekend breakfast would consist of these vegan biscuits and gravy, southern grits and chocolate pancakes! Seriously, that’s worth waking up early for, don’t you think? I think the only thing that could be better is winning your own copy of Go Dairy Free so you can make all the other dairy-free recipes included. 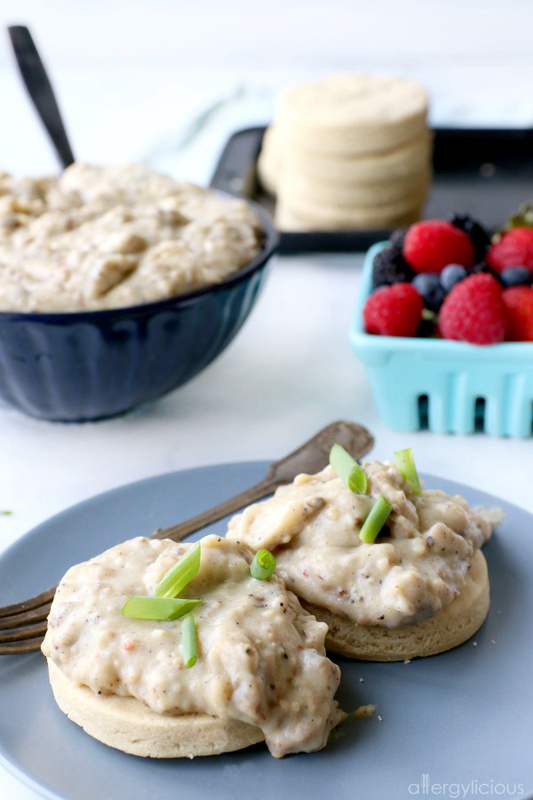 Cauliflower is the key to making this perfectly creamy breakfast gravy. Add some vegan sausage and drench on top of fluffy biscuits, for comfort food bliss. 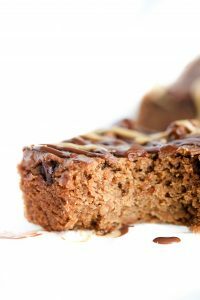 In a large bowl, whisk the flour, starch, baking powder, baking soda, salt, and xanthan gum until thoroughly combined. In a separate bowl, whisk the coconut cream, vinegar, and honey until smooth. Add the coconut cream mixture to the flour blend, and stir with a spoon to combine. Gently work it with your hands to bring everything together. It should be somewhat sticky. Dump the dough onto a floured mat (I use more of the Enjoy Life All Purpose Flour). Gently bring it together and pat it until about ¾- to 1-inch high. Use a 2- to 2½-inch biscuit cutter dipped in the flour to cut circles and place them in a greased baking dish, touching one another. * Bring the scraps together and cut again, an repeat the cutting process. If using a 2-inch biscuit cutter, you should get around 16 biscuits, 12 biscuits if using a 2½-inch cutter. Bake the biscuits for approximately 13 to 17 minutes, or until lightly risen and looking slightly browned. This flour blend is whole grain, so they don’t have a fluffy “white” rise, but are perfect for the gravy. 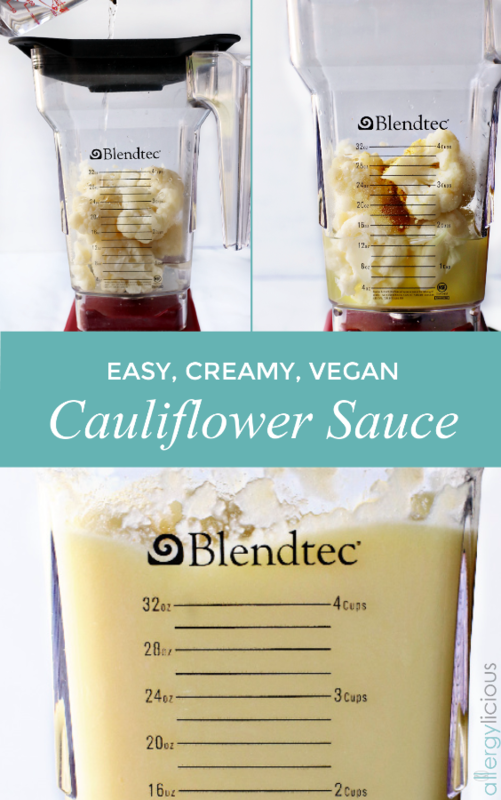 Put cooked cauliflower, 1 cup of water and nutritional yeast in your blender. Blend until smooth, about 1 minute. Add remaining 1 cup of water and blend to combine. Heat the oil in a large skillet over medium heat. Add the sausage and sauté while breaking into small pieces, until cooked through. Approx. 2 minutes for vegan sausage or 5 minutes if meat-based. Reduce the heat to medium-low and whisk in the flour. Cook while whisking for 2 to 3 minutes. The flour should absorb into the sausage and oil and become slightly golden. Slowly whisk in the cauliflour mixture and cook, whisking often, for 5 minutes or until it is a rich gravy consistency. If it thickens too much, whisk in a little more water, as needed. Whisk in the salt and black pepper. Cut the biscuits horizontally with a serrated knife. Place them, cut side up on serving plates. Top biscuits with a generous amount of gravy. 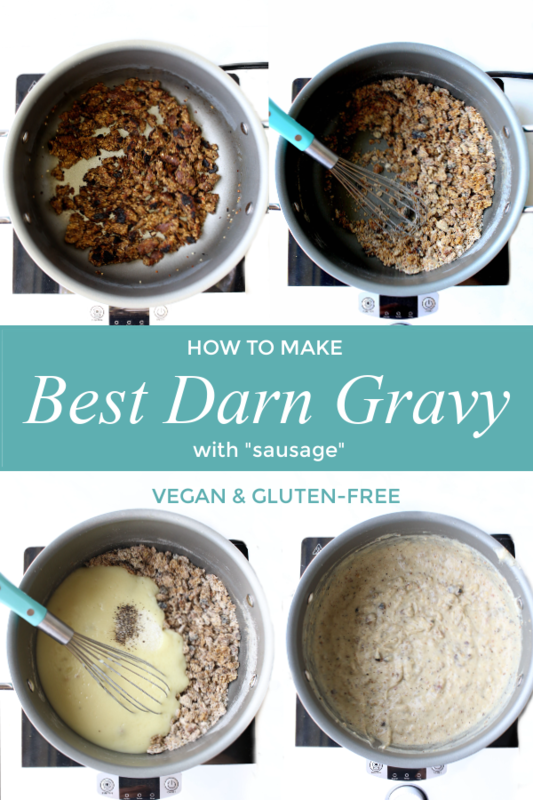 Store leftover sausage gravy in an airtight container in the refrigerator for up to 2 days. I’ve found that consumption of dairy products affects my sleep patterns. Not to the good, either. Oh goodness….yes, it does all kinds of weird things to our bodies. So glad you found removing dairy, helps you sleep better. I went dairy free because of the way the animals are treated. That’s why I stay dairy-free. I became a vegan because I love all animals!